I like that the first line here is bold. I would like to change the titles back to not being all capitalized though. So like "Why BillSage?" 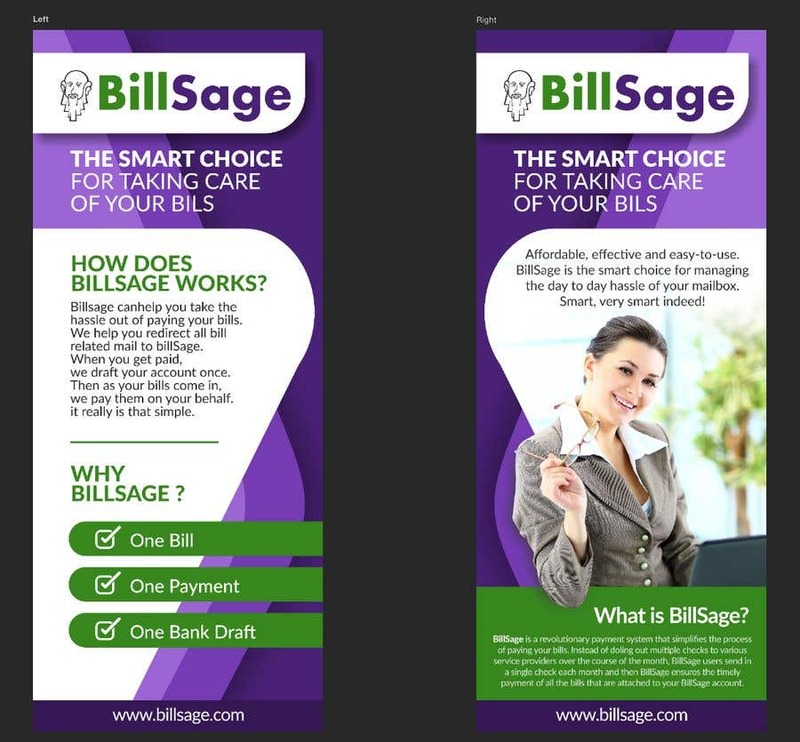 instead of "WHY BILLSAGE?". I *really* like how the website is in the same location on both banners. That change looks really good. I'd like to keep the original bottom of the banner (the purple background with the little green arrow on top). Anucha, I really like what you've started here. Can I request a few changes?